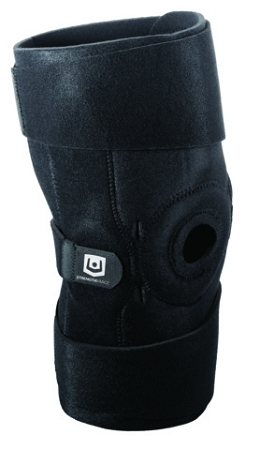 The StrengthBrace Universal Hinged Knee Brace provides stability and support for chronic knee pains and instability. A unique wrap-around design to fit a wide range of sizes, requiring less inventory on-hand to satisfy a diverse patient base. 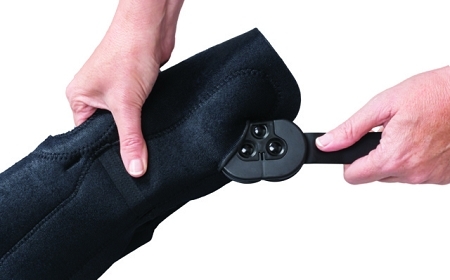 The lightweight, breathable neoprene material provides optimal compression while keeping patients comfortable and compliant. 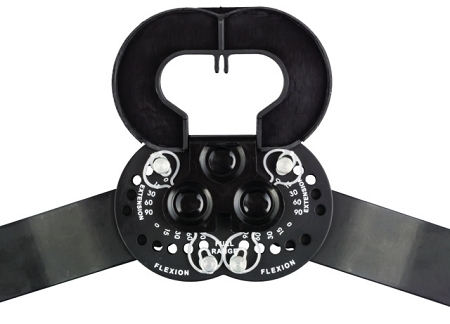 Medial and lateral stays provide excellent support and promote proper alignment while the hidden hinges can be set to provide the desired level of flexion/extension range of motion. 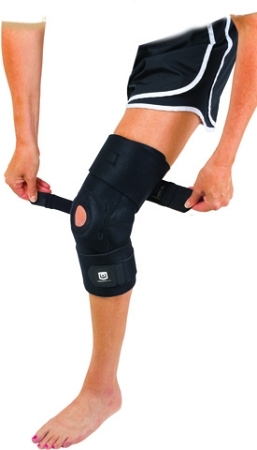 Indications: Designed for mild to moderate ligament joint pain, sprains, strains of the knee ligaments, meniscus injuries, chondromalacia of the patella, and internal derangement of the knee. 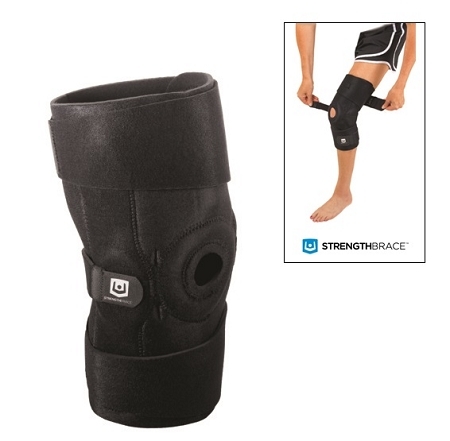 Provides support, stabilization, and compression.